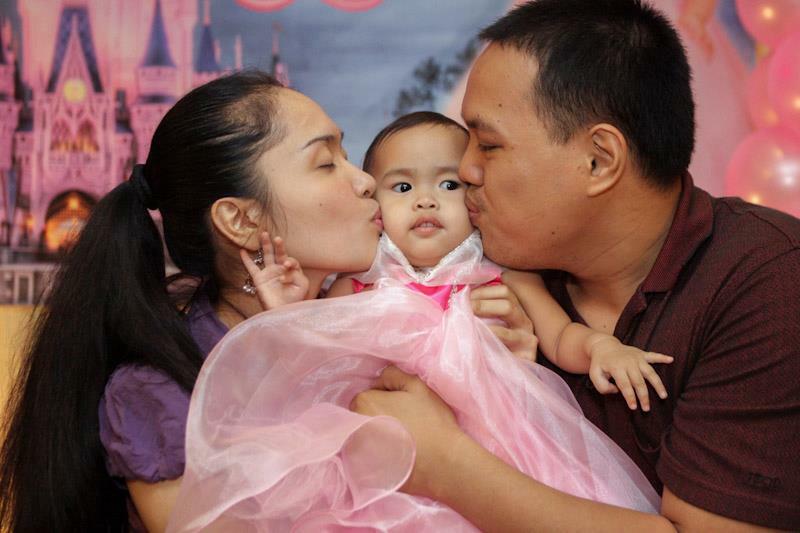 We held my daughter’s first birthday party at the roof deck of Prestige Tower in Ortigas. Out of all the party venues I checked in Ortigas that could house approximately 100 guests, I think this is by far the cheapest. 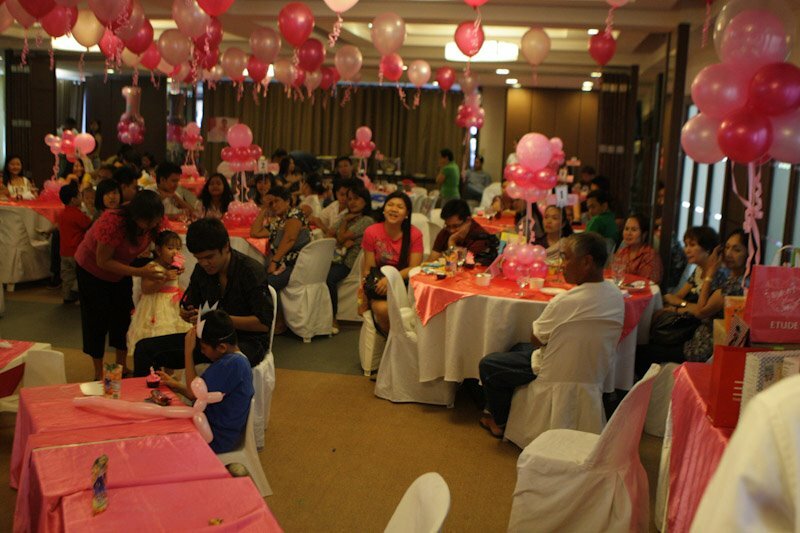 The function room we availed was enough to house our 100 guests. It was not crammed yet not too spacious either, but spacious enough for guests to move around. Another thing we liked about holding this occasion here was that there’s an expansive parking space beside the building. So we didn’t worry about where our guests will park. 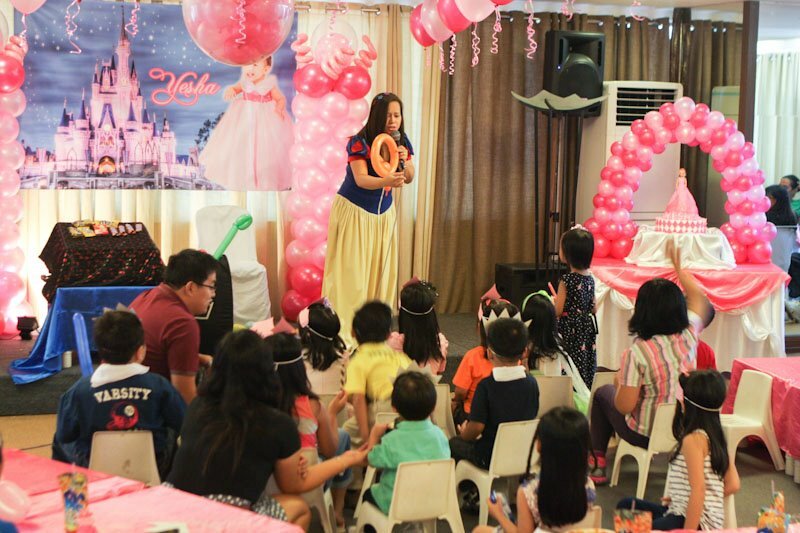 We reserved the 10am-2pm slot because the afternoon slot was already taken, and take note I made my reservation six months prior my daughter’s birthday. So the earlier you do your reservation the better. Thankfully, despite the morning slot we reserved, almost all of our expected guests were able to come and celebrate with us. The function room in roof deck is easy to spruce up too; and my balloon supplier did a fantastic job in decorating the venue. Prestige Tower has two fully air-conditioned function rooms. 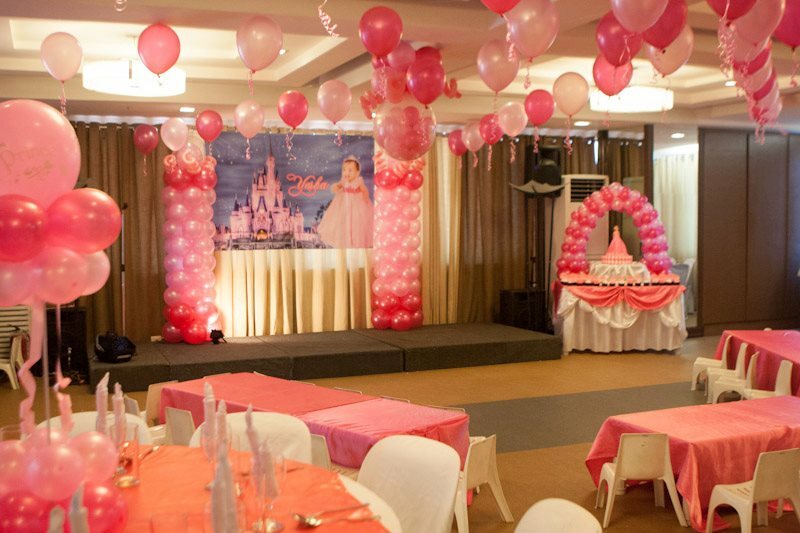 Function Room 2 can accommodate up to 100 people with a rate of P2,000/hour. It could be partially extended to Function Room 1 to accommodate 150 people, with a rate of P3,000/hour. If it will be fully extended to Function Room 1, it could accommodate 250 people, with a rate of P4,000/hour. If you want to avail their function room for 4 hours, you must have at least P30,000 (for Function Room 2) or P15,000 (for Function Room 3) worth of food catering booking (applicable only to adult menu and exclusive for 10% service charge). In excess of 4 hours, standard rates will apply. The in-house catering of occasions in Prestige Tower roof deck is being managed by Chow Unlimited. The contact person whom I transacted with was Ms. Salou. She was very accommodating and was easy to deal with. The transaction we had with her went smoothly and conveniently. Another good thing about this venue and their catering was that, we were able to bring our DIY candy cart and extra iced tea with no corkage. Yes, you can bring additional foods if you want – like lechon, extra dish or dessert. I remember we didn’t order for extra beverage, we just brought a pack of powdered iced tea, gave it to their waiters, and let them prepared it for us. 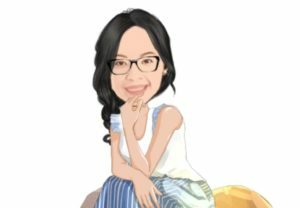 I’ve read good feedback on Ms. Lhen, is she really that good? Does she speak in English fluently? Thanks. Ms. Lhen spoke tag-lish during our event. So I cannot answer your question if she speaks fluent in english. Hello nagbayad po b kau for the time spent nung nag set up ung balloon decor? How about parking for guests? Hi, I know I already know the answer to this pero para sure tanong ko pa din. Airconditioned yung venue yes? Lol. Thanks. Hi this is Ghrace Javier. I really need to contact the person for this venue asap please inform me.. Thank you so much!! Who should I contact for inquiries on the venue? Hope to hear from you soon. Would be glad to receive an email from you. Can we rent the function room without availing the catering package? 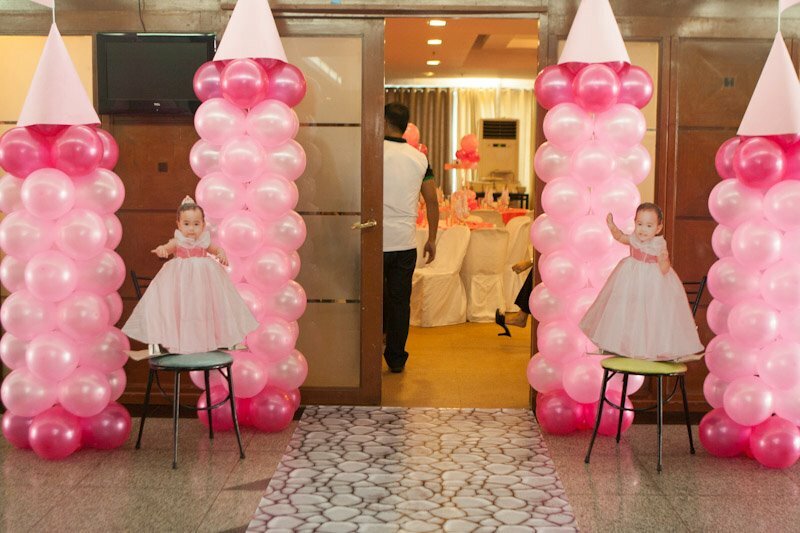 Yes, smooth naman yung pagpasok ng decor supplier namin… and yes they were allowed to prep up the venue prior the event. I just don’t know how and when they prepared the balloons. When we arrived at the venue, the decorations were 90% complete. I hope I answered your questions. Hiwalay ba ang bayad sa room decor? Paano kapag namili ng theme for the party pero kayo magaayos. how was the food? 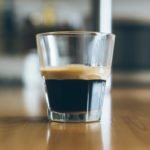 do they offer tasting prior to the event?